God save your soul, Beans and all (Tongue). Presumably all this accounts for the Somerset saying that to sniff the scent of a beanfield is fatal. Similarly, in Leicestershire, it is said that to sleep overnight in a beanfield can cause insanity, or at least horrifying dreams. It is a fact that the heavy perfume has been known to cause fantasies during sleep (Genders). Dreaming of beans is reckoned to bring trouble of some kind (Gordon.1985), quite apart from the belief that they "cause vain dreams and dreadful" (Bartholomew Anglicus). Both North country and Midlands (Davies) miners insisted that colliery accidents were more frequent when the beans were in flower (Waring). And another superstition said that when beans grew upside down in the pod, it was an omen of some kind. They did so in the summer of 1918 apparently, and then it was remembered that the last time they did that was the year the Crimean war ended. Unfortunately the correspondent of Notes and Queries who reported it dated his letter in 1941, when once more they were growing upside down, but that war took another four years to end. Sow beans or peas on David or Chad, Be the weather good or bad; Then comes Benedict, If you ain't sown your beans -Keep 'em in the rick (Baker. 1977). One for the pigeon, one for the crow, One to go rotten, and one to grow (Savage). 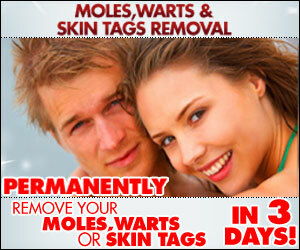 So my warts shall soon decay (Hardy. 1878).